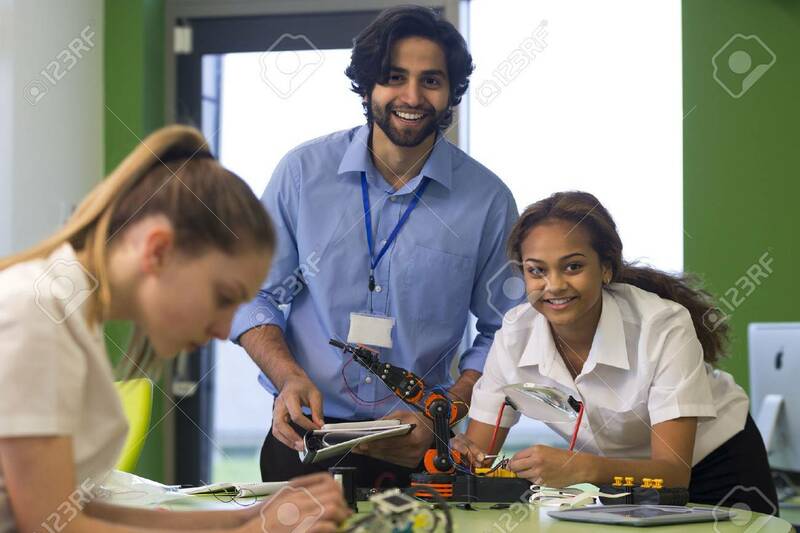 Teacher And Student Smiling For The Camera Whilst Building A Robotic Arm. Another Student Is Out Of Focus In The Foreground. Royalty Free Fotografie A Reklamní Fotografie. Image 58331970. Reklamní fotografie - Teacher and student smiling for the camera whilst building a robotic arm. Another student is out of focus in the foreground. Teacher and student smiling for the camera whilst building a robotic arm. Another student is out of focus in the foreground.